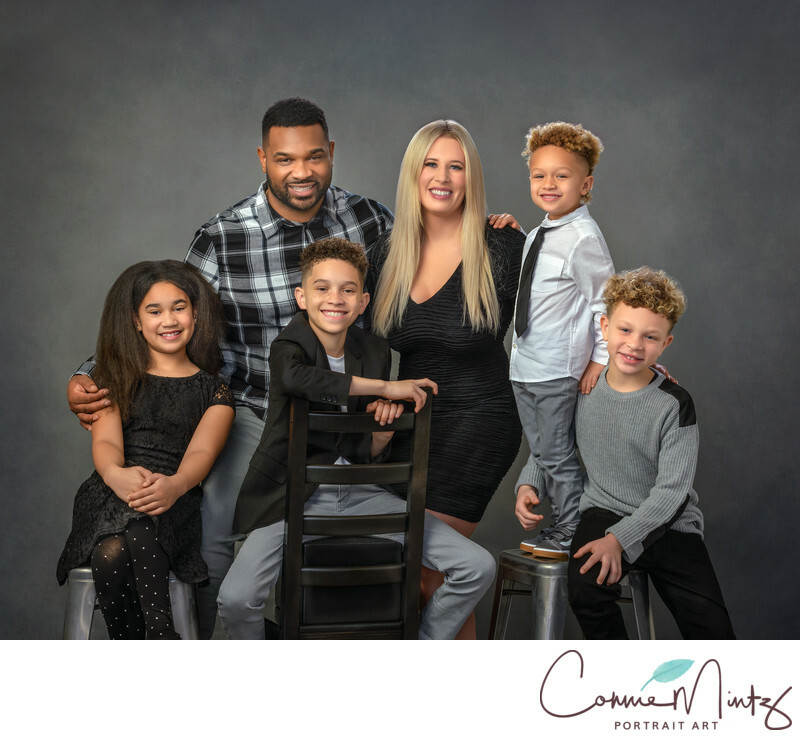 This happy diverse family came in for an updated modern family session. Love the black and white styling. Keywords: gray backdrop (18), studio family (18), Tortorello (6). 1/160; f/5.6; ISO 64; 70.0 mm.